Should fathers help with night feeds? See the pros and cons of both parents waking up for middle of the night feedings, even if one parent stays home. Those middle of the night wake ups were the worst. The constant crying, the inability to soothe the baby back to sleep, scrambling to zip those pajamas all while the baby was shrieking, then several more minutes of breastfeeding and burping… it was getting too much. Sleep deprivation during the newborn months, already the challenge that it is, brought out the worst in me during nighttime feedings. It was the time of the day (or night) when I least enjoyed being a mom. My husband shouldered half of that burden. He changed diapers while I breastfed, and we’d take turns soothing the baby. When we were both out on maternity and paternity leave, the decision for him to wake up at nights was a no-brainer. After all, we’d both be home the next day doing nearly the same tasks. But with him returning to work before I did, would he continue waking up in the middle of the night with me? Should fathers help with night feeds? Middle of the night wake ups are unique to each family. With work the next day, dads have work tasks that are more difficult to manage when sleep-deprived. Meanwhile, moms are home with the baby, with no time-specific duties or even people to interact with (heck, we wouldn’t even need to get dressed). Should dads help with night feeds then, even with work looming the next day? For both pregnancies (with my singleton and later, my twins), I couldn’t do it all by myself. Physical exhaustion aside, sleep deprivation was a huge challenge. Having my husband’s support and a sense of teamwork did wonders for my morale. As much as I acknowledge the benefits of breastfeeding, I still didn’t like that I was the only one that can do so. Knowing this, my husband helped me as much as he could so that whatever burdens crop up don’t always fall on me. I feel like we’re working as a team when he wakes up with me for nighttime feedings. Every little bit helps, from re-swaddling, to changing diapers, to burping the babies. Doing night duty alone can feel so isolating that every bit of support helps. And I get it. One of the biggest reasons your husband doesn’t help with the baby at night is because he works. He needs to be at work by a certain time while mom stays home with the baby (and could potentially rest at home). Or perhaps the baby cries with dad at night, leaving both of you feeling defeated and even more sleep-deprived. And maybe you’re simply arguing over night feeds so much, you’ve decided to take the task on your own. Still, I’m betting there are tons of parents who agree that caring for babies can be harder than paid work. It’s no joke when they say parenting can be one of the most difficult and stressful responsibilities. Parenting—even if unpaid—is still a job. For dad to be able to sleep through the night signals that his job is more important than mom’s. In some cases, this is true—you’d want your pilot or surgeon to function on a full night of sleep. But in many cases, caring for the baby is just as difficult, if not more so, than our day jobs. See why caring for a baby is harder than your day job. Dads are more likely to be involved in the baby’s care when he participates in nighttime duties. He knows that the baby prefers the pacifier, or that he needs a special kind of swaddle to fall asleep. Both parents are on the same team, doing the same work. It’s nice to have an equal “co-worker” who can brainstorm how to soothe a fussy baby in the middle of the night, or pull his weight with washing baby bottles and pump parts. Moms don’t feel like they have to delegate instructions because dads know just as much about what the baby needs. Read why dads are co-parents, not just babysitters. With all the benefits of dads waking up for middle of the night feedings, moms feel less resentful and isolated. But is there ever a time when dads don’t need to wake up at nights? Each family is different, from their schedules to their preferences. Maybe mom can function much better with five hours of sleep than dad (who needs a full eight), or dad’s job is too challenging for him to be sleep deprived (like the pilot or surgeon we mentioned earlier). Other moms also feel no need nor resentment should dad help with the baby at night or not. “I have to get up anyway—why wake my husband if he doesn’t have to?” is a common reason moms don’t mind when their husbands never wake up with the baby. Some families also have a clear understanding about sharing night time feeds. Dad focuses on bringing in income while mom is the main caregiver. And finally, other couples customize and learned how to share night feeds. Many parents take turns—mom does the feedings one night while dad does the next. Some take shifts—dad handles the 9pm to 3am shift, while mom does the 3am to 9am shift. Sharing night feed duties doesn’t always have to be both parents waking up each time the baby cries. Communicate. Find a good opportunity where you and your partner are both calm and in a good mood. Then discuss your feelings and needs, focusing on how you feel without attacking him or his character. Be explicit with what you need. Once you’ve addressed your feelings, be clear about what it is you want from your partner. Give a few ideas, then see if he has any, but don’t leave it up to him to guess what you need. 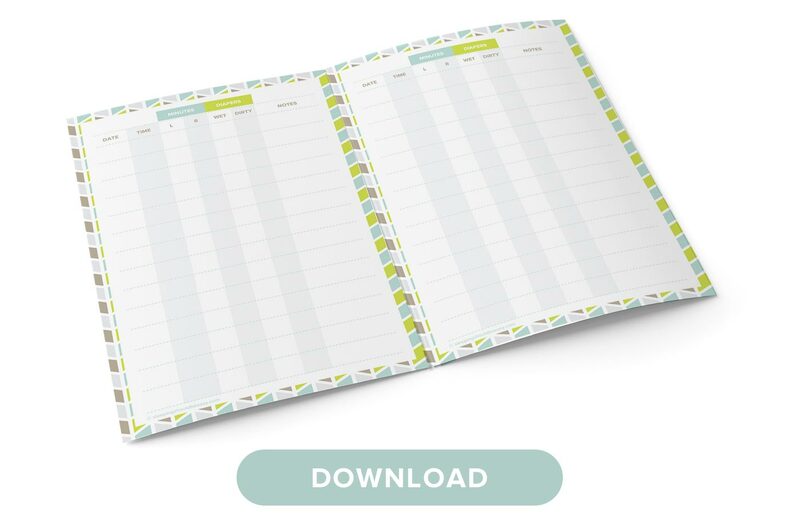 Find a schedule that works for both of you. Dads can help beyond waking up every time the baby cries, too. You can take turns getting up or take shifts. Come up with alternative ways to help. If your partner simply can’t wake up, find other ways he can help. He can take over bath times and handle meals so you get a break. 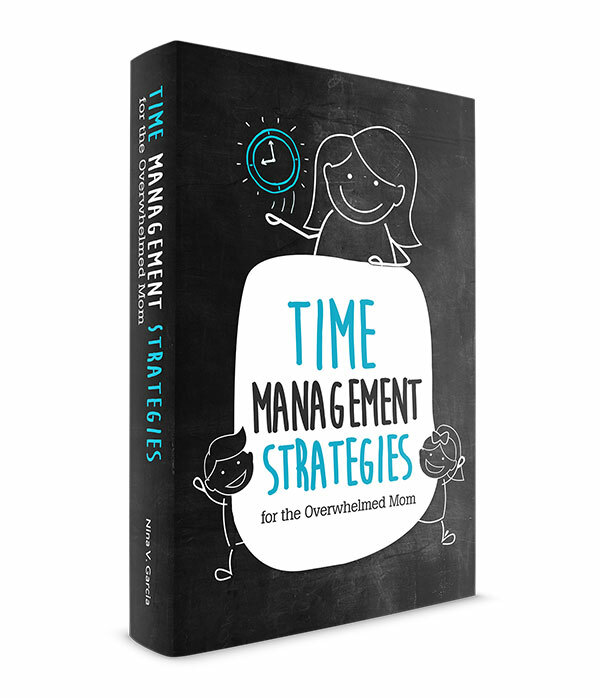 If you’re exhausted while your partner sleeps through the night, or you wonder how to get dad to help with baby at night, consider a change in strategy. No one should feel under-appreciated or harbor resentment. Both should feel like they’re part of a team, whether they wake up for feedings, go to work, or stay home with the baby. p.s. Want resources to help your baby sleep well, especially if he only sleeps in your arms? I created a guide just for you! 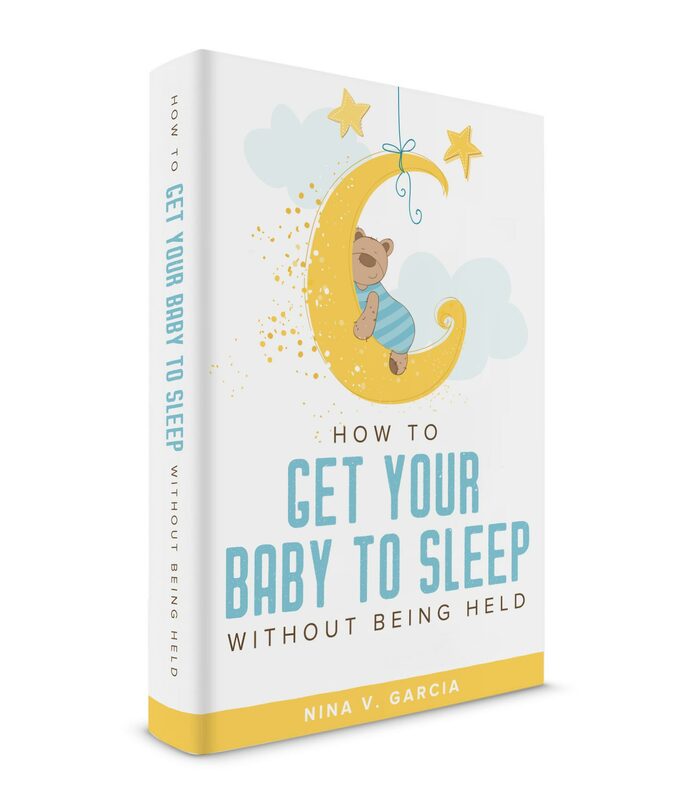 Learn about “How to Get Your Baby to Sleep without Being Held” here. Tell me in the comments: Should fathers help with night feeds too? I love your husband. Really. That was beautiful to read. Twins are hard work, I bet, so that team work would really help you feel like you were in it together. I always did all the night time stuff for the baby, but hubster was on toddler duty. I was happy with that arrangement. You guys sound like an awesome team. Sounds like my husband and I. Even though Lucas is 3 years old (already? ), we still continue to divide household and parenting duties while working together as a team. When Lucas was an infant, my husband and I took turns feeding and changing Lucas at night. I was breastfeeding him but I would already have breastmilk prepared in bottles so my husband can bottle feed him instead. Worked wonderfully. Keep up the good work. Those sleep deprived nights will be a distant memory soon. Nice to see you writing more often. Love love reading your posts. Aw, thanks Ana! Yeah I’m starting to get back into blogging. That must be a good sign that I’m slowly but surely getting my time back. I wish my husband could bottle feed too but I never did understand that method. Wouldn’t that mean that you’d still have to get up to pump? Or do you just skip a session? I always felt like I would decrease supply that way but I feel like I’m missing something because I hear that method being used a lot. Anyway, yes, I can’t believe Lucas is already 3 (like my son)! Where in the world does time fly. They’re like legit kids now. Aw Betty your husband sounds awesome. You definitely put in the time with breastfeeding! I don’t think people realize how tiring breastfeeding can be especially when it looks like all we’re doing is sitting there. I agree. Parenting is a team effort. There’s no me in parenting. Ok, that’s a bad joke that probably makes no sense. Our little guy is finally sleeping through the night at 18 months. Before this, my husband and I split up duties. To help us make it through our son’s wakings, we would split up morning duties on the weekends. We would each take one morning on the weekend to allow the other to sleep in. That helped a lot. You and your husband sound like a great team. Virginia I had a friend who did something similar. She did all the weeknight feedings since he had to be pretty alert during his regular work week, and she slept in on weekends while he woke up with the baby. Our kiddos don’t sleep in. It’s rare that our day starts at 6:300 or later. So one of us (usually me) gets up for night feeds and midnight sips of water, and the other gets up with the first riser. We also split bath/bed time duties. I’m trying to prepare myself for the utter exhaustion I’m going to feel when I do it all myself during my husband’s upcoming deployment. I’m open to ideas for how to manage! Aw Lynn good luck to you for handling it on your own! I can’t imagine doing that day in and day out. I was exhausted bathing the twins and the three year old for one night, haha. Good advice as ever, & thanks for the mention! I probably should point out that I was lucky enough to be able to be at home 24-7 to care for the twins with my wife; If I’d had to also go out to work sharing the child-care would have even more difficult than it already was! I was always the one to get up with our daughter for the night feedings. (I was nursing so I would of had to anyways). However, my husband fell into the category you mention. He’s a boat captain for a passenger vessel so his sleep was important to the safety of him and others. Thankfully it’s seasonal and as work slowed down his involvement increased. He was great about changing diapers anytime he was home or getting me water, snacks, etc while I was nursing. I think it helps when the dad is just as on board about the importance of nursing. He felt strongly that breast feeding was important. (Even noting that his mom has really bad asthma but only his one sibling inherited it while he and his other sister never have had any breathing problems) Because he felt so strongly, he greatly valued the effort, energy and time it took. Having that kind of support made the nights not so bad, even if it was just me. Right on, Leeann. Imagine a scenario where a dad dutifully wakes up for each nighttime feeding but only to do so begrudgingly. It wouldn’t be nearly the same as a dad who does what he can for mom to make nighttime feedings easier and more comfortable. Like you said, bringing you water, snacks, changing diapers and generally supporting and being on the same page with breastfeeding. 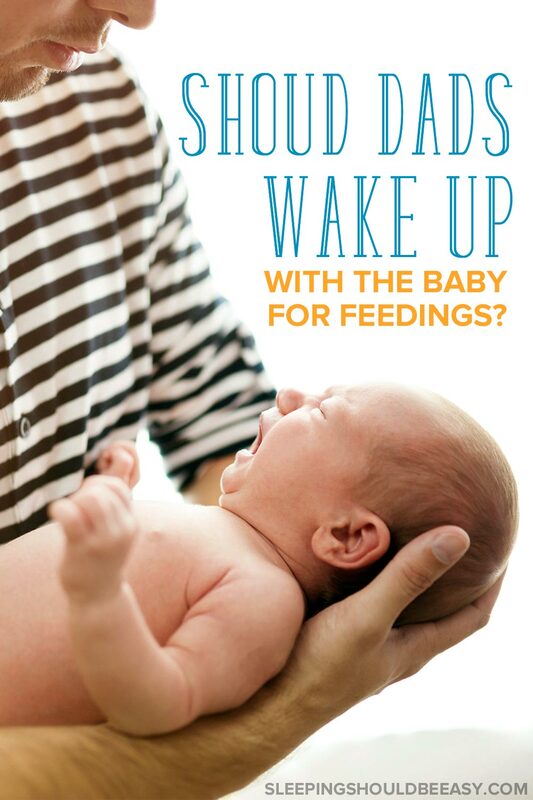 I am pretty sure my husband never once got up for a feeding with our son – who is now 18 months old. But that being said, he works nights, so his sleep is all over the place. He needs about 9 hours a night where I have always been functional on about 6 or 7. (He should definitely not be working nights, but it is what it is right now.) I never really saw the point of him getting up since I was the one who had to be awake to nurse our son, but at the same time, I wouldn’t have turned it down. He could have changed his diaper and brought him to me in bed. But at times I usually thought “Well, why should two of us be tired?” We had two other kids under the age of 3 to take care of and I preferred that one of us not be crabby the next day. 😉 I might have been a tad bit resentful on the nights when I got very little sleep, but he usually made up for it by always doing the baths for our girls and cooking supper every night. You are so right when you say that just because our job might not be a paid position, it is still hard. I used to work up to 18 hour shifts as a nurse, and honestly, it is sometimes harder to stay at home. I know that sounds ridiculous, but it is the mental drain of having someone constantly needing you, calling for you, interrupting you… The lack of adult communication during the day can really take its toll. Having a partner that respects all you do and knows just how truly hard it can be makes all the difference. Ugh I wish I could get by with 6 or 7 hours of sleep. I’m like your husband where my optimal hours are 8 every night. For me, even though I nursed most of the time, I still relied on my husband to change diapers. Maybe it’s because he would already be awake anyway from hearing the crying, but he would change diapers and hand the baby to me for sure. Like Leeann mentioned above though, I think having a partner who is on board and supportive is more important than physically being awake yet doing so begrudgingly. It seems like your guy was very supportive. And I didn’t know you were a nurse, Vanessa! I never got why doctors and nurses worked insane hours when they’re the very people who totally need their decent hours of sleep. I also totally agree that staying home with kids is harder. I was actually writing a post on that where I wonder whether other jobs are easier than taking care of kids. My husband came with me to a breastfeeding class before we had our first child. The teacher gave a great tip…. Have the mom stay up with the baby and get baby down, and dad goes to bed at a normal time. But then after 5am, Dad gets up with the baby and mom sleeps in a bit and dad brings her the baby when he leaves for work. This way, both people still get some great chunks of sleep at night. Then we would alternate who got to sleep in on Saturday. Or I would let him sleep in on Saturday but then I would get a nice long nap later in the afternoon, and another nap on Sunday. It worked well for us, because that way my husband got some quality one-on-one time with the baby and figured out how to swaddle and change diapers and soothe the baby when they were fussing and baby also bonded with dad. We have had four kids and have done this with all of them, and still do it now that our youngest is 2 1/2. Just last night, she woke up in the middle of the night several times and I got up to help her. But she was still awake when the clock hit 5am and that is when I woke up my hubby and explained what was going on. He took over and I went back to bed and got a almost four hours of solid sleep before he left for the day, and I plan to take a short nap when the younger two kiddos have their rest time in a bit. There have been a few times where I just really was so sleep deprived and tired and worn out and just frustrated because everything I was trying to help soothe the baby wasn’t working, so I would go ahead and wake him up even if it wasn’t 5am yet. He has never complained about it but just jumped right into action to walk with them and try all his tricks to get them to go back to sleep. It does make it feel like we are a team raising our kids together, which is really nice! That’s a really cool arrangement! I know some couples who also do shifts, but your situation seems to really work for the dads who still need a good solid chunk of sleep to function at work. And the fact that he never complained when you needed him to do an ‘early shift’ speaks volumes of the kind of teamwork you guys have. Fantastic! My wife and i have had our first child 3 months ago. For the first few weeks i was waking up with her to do what i could whilst she breast fed. But we think its more beneficial for me not to be tired the next day. It allows me to focus on my work better and get things done. Which in turn allows me to leave work on time and spend more time at home with our daughter. Weekends are different and the more she has a bottle the more i will begin to do night feeds. But for now i don’t really see the point in having 2 people tired the next day. Good points, Mike! Seems like you’ve got a great system going. My husband and I had an agreement. He gets up on the first shift (around mindnight), i get second shift (around 3am) this way I already had 6 hours of rest. Then he gets the 3rd shift at 6am when he wakes up for work. I get the 9am shift. Worked out great with all our three children. I love the idea of shifts! That way parents can get long stretches of sleep. All your thoughts are dandy in concept. I assume you are discussing a nuclear family with traditional roles of the man working and woman homemaking. Have you ever thought of what may happen to the sleepless father who then goes on to work the next day ? Car crashes ? Losing their job because of failure to perform and the flow on effect of an incomeless family ? Jobs requiring them to be on-call for many days on end ? Jobs which may need intense concentration to perform or those with serious consequences should a tired brain not make the right decision ? Putting oneself in anothers position seems to be something that the whole planet fails to do consistently . How about a less bias argument about whose job is more difficult or not , who deserves more recognition or not ? Why not respect each others role , give each other breaks when needed and be a team. If the family is at odds , then perhaps split the roles and the woman should go on the hunt for a part time job and man reduce his hours. Don’t assume the man is doing it easy and woman has it tough or v.v. This is pure ignorance. Thank you for your comment on my blog! You bring up several good points that make me want to better convey my own. you sound like a great team and that’s awesome to have but I don’t see it as giving dad a free pass just because he has to get up to work. My daughter didn’t sleep well and I was always the one to get up with her for feeds and while she had colic and would cry endlessly because my partner works from 6-6 and he is a tradie who works on the roof, so realistically it would be quiet dangerous having him sleep deprived where as I could have a quick nap through the day when my girl did. On really bad nights he would step in and take over to give me a break and he was a blessing for my sanity, and on weekends when he didn’t need to get up at 5am and go to work… I think it depends also on their job and hours!? My partner is physically worn out and exhausted as it is so to put every night sleep deprivation on him could have dangerous consequences. Absolutely Ren, I agree. I mentioned that if my partner had a dangerous job or one that required complete focus, I would willingly stay up with the baby all night 🙂 I definitely think it depends on the hours or the type of job as well. And of course dynamics—one parent can function with five hours while the other needs eight or more. Stuff like that. But funny you mention SAHMs because I work in an office, and I totally think I have it easier than staying home with the kids lol! I am a grandmother of two and mother of three. I was fortunate to be home with my youngsters and worked part time. I breast fed 2 of 3 for two and a half years. My husband had a demanding job and I never expected him to get up. My son and his wife both work full time now but she did take a year off and my son still filled in on night duty if needed. As a mental health counselor we are seeing a spike in young couples struggling with marriage issues. Unfortunately, there is has been a myth perpetuated that the big wedding, new home and new baby is the American Dream. We are meeting young women not enthralled with the demands of it all plus working. They feel they were sold a bad deal. Sleep deprivation is a real problem but so isn’t the use of socail media creating a disconnect to how hard family life is. The studies showing the large increase of alcohol consumption in your generation. Your family will benefit from early to bed, no alcohol, exercise and decrease in social media. Make one day family day and one night couples night. Always sleep in the same bed and do not allow children to sleep in bed with you. This mimics a family systems model where parents are in charge and clear boundaries are established. Thank you so much for your tips, Sheila! It’s interesting to see what issues face new generations. I like how everyone just assumes mom can always rest during the day. That is not always the case. Maybe my first born I could but with a newborn and a 2 year old now and Im the one who does ALL the cooking and ALL the cleaning there is so much more that I deal with than my husband does on a daily basis. There are also several timea throughout the year I take my kids to my parents to visit and then I’m on my own for night shift so he gets plenty of breaks. So no I don’t think it’s too much to ask that he gets up with bAby at night. Both our children were pretty good sleepers and only wake up once a night. Exactly, Cody. Even with my first born I never felt like I was fully rested. Not just with the cooking and cleaning, but actually having to keep putting the baby to sleep over and over. Once I went back to work, I honestly felt like work was easier than caring for a baby. At least I had time for myself! With the triplets he would do 9pm and 6am when they were eating every three hours around the clock. Therefore he could get 6 hours of sleep. He drives a semi so it is extremely important that he is not too sleep deprived. He didn’t get paternity leave (family business) so we started this method as soon as they got home from the NICU. I would sleep through the 6am feeding and some days not even wake until 9am. It’s what worked for us! (I ended up pumping/supplementing with formula so nursing wasn’t an issue). You definitely don’t want him sleep deprived on the road! 🙂 What a great way to divide duties in a way that works for your family. And with triplets, too, whew! Looks like the schedule afforded both of you the longest possible stretch of rest you needed. Hi my names Chad am 31 years of age Me and my gf have a new born I stay up alot and try too work . Am sleep deprived and she is to we try too team up and it seems impossible for me too work .I think it’s true we can team up I can do the 9 pm to 3 am shift . I think I can get by on four hours of sleep as a man beleive it or not am just sleep deprived with this okay its fine I cought myself staying up 2 days when we had her in hospital I stayed by her side .now am runing in four hours of sleep . You are so true in pointing out that resentment helps no one. The only reason divorce or murder are not options is I know this phase will pass in 2-3 more months. 1st child slept 6pm-midnight then 12:30-6:30 by 8 months. Few to no articles mention how moms of newborns who already have a 4-6 yr old child who no longer naps but are not yet in full time school cope. This is definitely a full time job and despite the hefty income a doctor salary brings in, id prefer a little help. And not have to praise him for it. Just help. Because you’re their dad. I realize this is more of a marriage problem than a parenting problem but it was only revealed in the novelty of having a 2nd child – newly born. Anecdotally he helps with dishes & laundry and cooks for older sibling. But this mommy does Not function well at all with 5 hours total sleep (not to memtion that it’s divided into 2 or 3 hour chunks) plus *maybe* a 45 min random nap. This once svelt, 19BMI triathlete even after kid #1 mommy is now fat, tired & the house is a wreck. Something has to give, either I sleep and exercise (Dad wakes twice with baby), or the house is a wreck, or something.